Luxembourg Our own selection of grapes from the Wintrange Felsberg vineyard. This wine is produced according to strict rules ("Charte des Crémants"): hand picking, limited yields, pressing of the whole grapes... It is vinified following the classical "Méthode Traditionnelle". 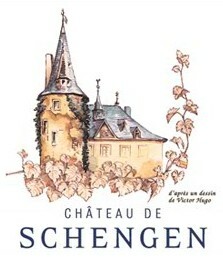 Once blended, and after addition of a "liqueur de tirage" (composed of wine, sugar and yeasts to induce the fermentation) the cuvée is bottled. The carbon dioxide gas released by this fermentation makes the wine sparkle. After a long ageing period, the bottles are riddled to enable the yeast to settle in their neck, and disgorged to eliminate these sediments. Before the corking and labelling process, the level is topped up with a "liqueur d'expédition", according to the desired style of the product. Irresistible yellow-green colour and elegant festive tiny bubbles ...The nose, refined and clean, fully combines citrus notes and some mineral hints. The palate, confirming these impressions, reveals a neat finish.